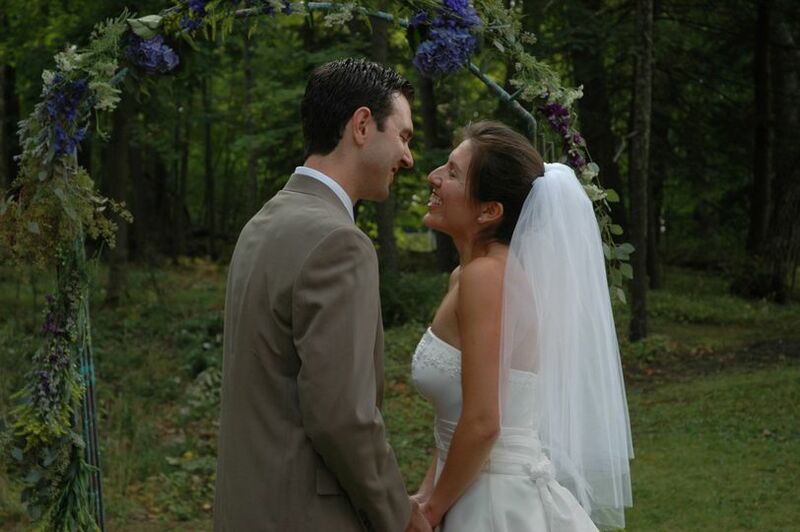 Wake Robin Inn is a wedding venue situated on the picturesque Litchfield Hills in Lakeville, Connecticut. 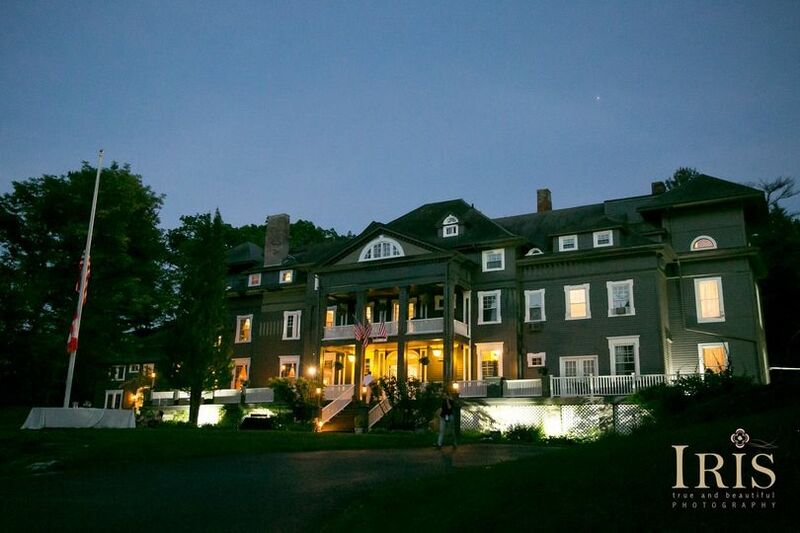 The inn is located on 11 acres of rolling hills, with space for indoor and outdoor weddings. Wake Robin Inn: the perfect venue for a weekend wedding destination, including 38 rooms and suites on site for you and your guests. Exclusivity—no other events are booked. Ceremony & reception space for up to 225 outdoors. Site fee does not include catering or rentals. On your wedding day, you will have complete exclusivity, privacy, and customization of your event. 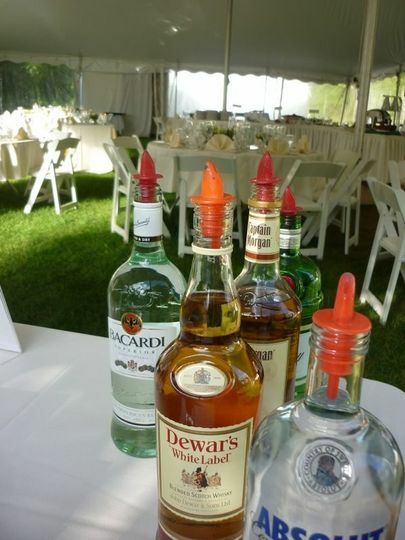 You choose your own caterer and rentals and customize your bar, to ensure the wedding you envisioned comes to life. 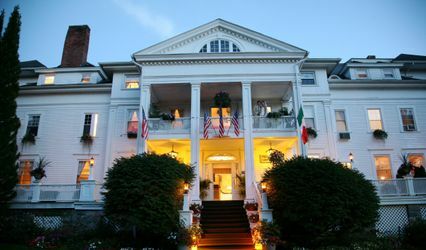 Enjoy the manicured grounds with a tented outdoor wedding and all the modern amenities the inn has to offer. 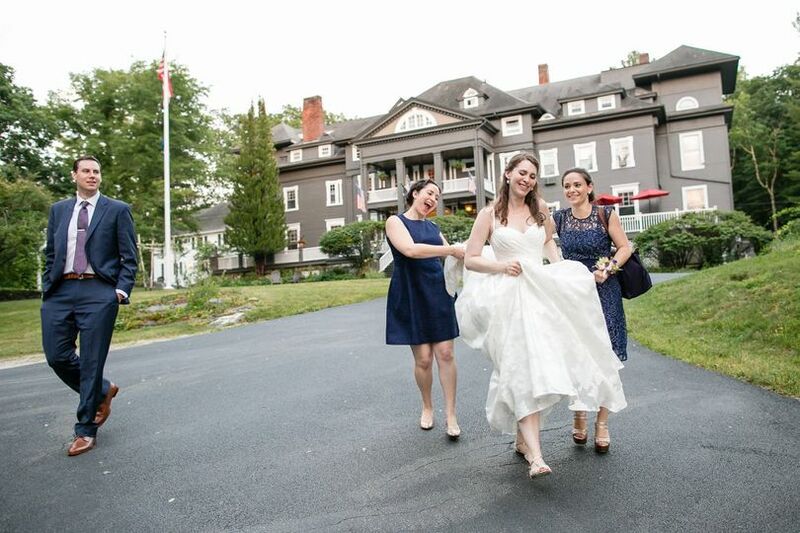 Wake Robin Inn is the perfect destination for your bridal shower, elopement, engagement party, rehearsal dinner, wedding ceremony and reception. Wake Robin Inn can accommodate up to 225 guests inside the inn for an elegant indoor wedding or outside in the garden. The inn also offers 38 private rooms and suites for you and your guests. As soon as we saw the Wake Robin, we knew it was the perfect venue for us. The venue is beautiful and was the perfect setting for our day. Shaffin and Michael were wonderful to work with throughout the planning process and the days leading up. Truly professional and incredibly helpful, they were always responsive and went above and beyond. We can't wait to visit the Wake Robin Inn on one of our anniversaries! 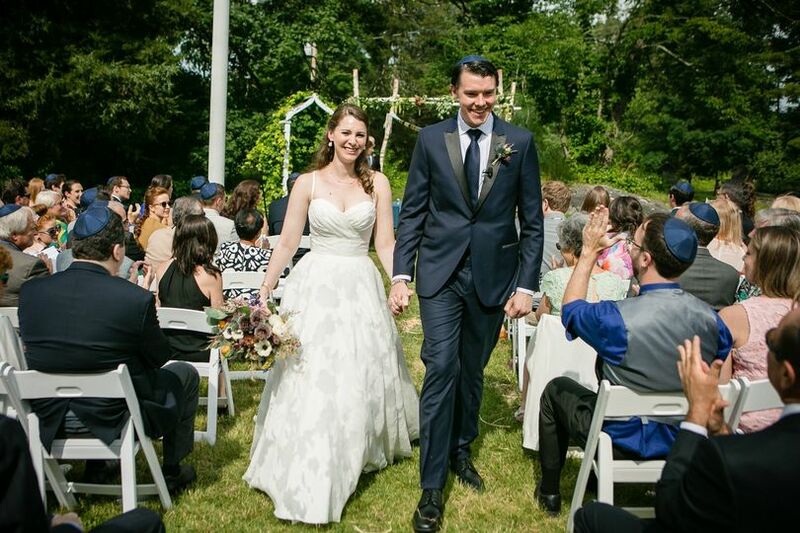 This past weekend we hosted a wedding for our daughter and her fiance, who live in Boston. We live locally and she said she could not think of anywhere she would rather have her wedding than at the Wake Robin Inn. It was the perfect weekend. From the beginning planning stages Shaffin worked closely with us to make every detail perfect. 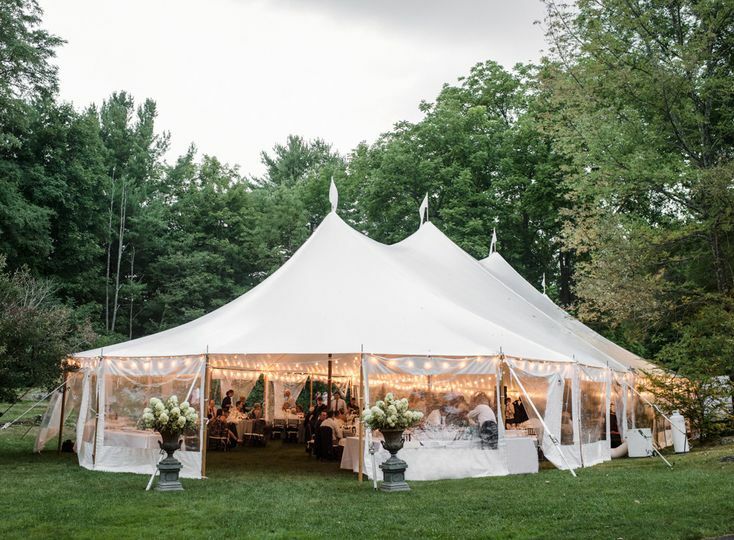 He recommended vendors who were spot on, like Classical Tents in Pittsfield, MA, and Rita Welch Catering in Sheffield, MA. 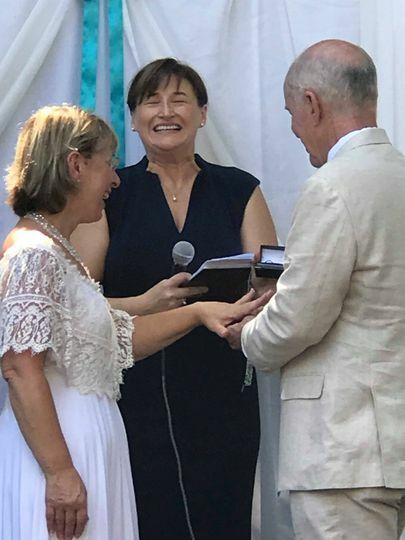 He made suggestions for rooms, based on each family's needs, and continued to work closely with the Bride and Groom to make sure no detail, no matter how small, was addressed. Unlike other weddings we have attended, we had total control of the weekend. We were the only guests at the Inn which made it easy to spread out while allowing the children to wander the grounds and play without worry. Also, unlike other venues, there is no template for how your event happens. You can create the wedding you want without worrying that time is up or that you have to move things along for the next group, since there is no "next group" following later that day. We felt like family the whole time we were there. On Friday, after the rehearsal dinner we all gathered at the Inn for desert and drinks. People wandered around, getting acquainted, and had a fun evening. After the wedding on Saturday we ended the day on the back deck, enjoying drinks and a bonfire. There are plenty of comfortable seats tucked everywhere where you can gather and visit with family and friends, from the large front porch to the back deck, seating is plentiful and comfortable. Breakfast, which was plentiful, was in a lovely room off the parlor and you could eat there or take your food to be enjoyed on the back deck if you chose. The Wake Robin is a charming, well kept, building, built in 1899. The rooms are all lovely and each is decorated a bit differently. It's not your usual Inn, it's better. Everything was so perfect we were sorry to leave. My husband and I had our wedding at the Wake Robin Inn in July of 2015. 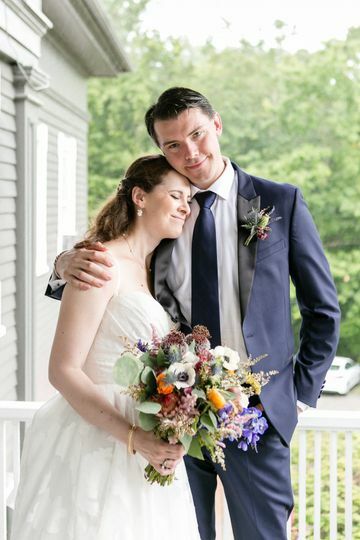 Having already been to 20+ weddings in CT and MA between my husband and myself in our 7 years together, we wanted something unique that fit our style. The Wake Robin Inn was perfect! I first called Shaffin, the owner, on a Saturday afternoon in January to ask about wedding dates for that upcoming summer, and he graciously offered to let me come out to tour the Inn that following Monday. Shaffin emailed me that morning to tell me to drive safely, since there had been a coating of snow the night before. That is one of the many generous and thoughtful things Shaffin did for us throughout our entire wedding planning process. 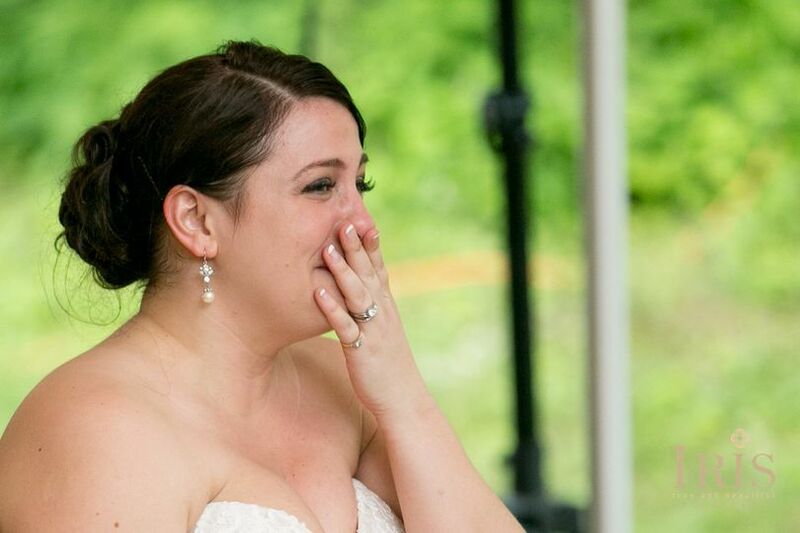 He was there every step of the way to offer suggestions or advice, and I can easily say that my wedding went as wonderfully as it did because of Shaffin and all of the professional vendors he referred me to. The Wake Robin felt so warm and welcoming, and my guests echoed these same sentiments. The rooms each have their own style, and the bottom floor parlor rooms and decks are perfect for creating a relaxing and laid-back environment. Shaffin's staff are all equally as professional, thoughtful, and truly went above and beyond. Please do yourself a favor and go experience the Wake Robin Inn for yourself! My expectations were not only met, but were far surpassed, and I highly recommend the Wake Robin to anyone looking for a one of a kind experience! The Wake Robin Inn is a most beautiful setting, both inside and out, for intimate weddings of all sizes. I held my small wedding there years ago, and I am still getting compliments the event, to this day.